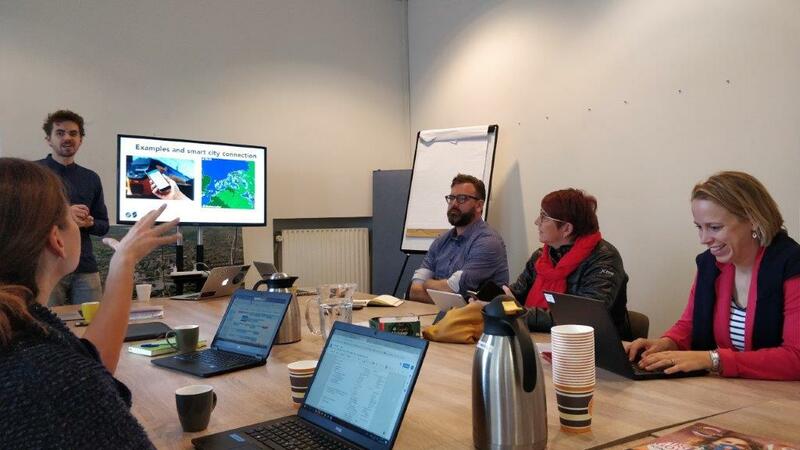 On 8 and 9 October 2018, a delegation from the ZHAW Institute of Public Management (IVM) visited “Amsterdam Smart City.” The program for this visit included various presentations on smart city projects by the city of Amsterdam. The IVM visits Amsterdam Smart City. Discussion on best practice implementation. Among the most interesting, without a doubt, was the project “Smart City Academy” by Amsterdam University of Applied Sciences, which consists of research by scientists on how to make smart cities successful. A multidisciplinary team is working on various topics involving smart city projects such as public-private partnerships, user involvement, and big data. “Pakhuis de Zwijger” is another innovative approach that was presented. The former warehouse is dedicated to promoting a dialogue between various interest groups in the city, with a focus on current issues. The conceptual focus lies on linking different topic areas, exchanging knowledge, and sharing experiences, with the goal of shaping the future of Amsterdam. On the second day of the study trip, the delegates were given a presentation on the activities of the “Open State Foundation.” The Foundation works on digital transparency and publishes data from public institutions as open data on a website. This data represents the baseline for new business models. At organized hackathons, interested parties can experience concrete developments. Another highlight was a presentation by Tykn, an innovative company developing, among other things, blockchain-based apps for the registration of refugees. The CEO has gained first-hand knowledge in dealing with the registration procedure and has employed this knowledge in developing a useful app for use in development aid. The ZHAW delegation looks forward to a further in-depth exchange with Amsterdam Smart City in the future.